Ever get the feeling people aren’t listening when you talk? That may be more than just a feeling. When I observe teachers, I see one small, specific problem more often than anything else. If they fixed it, they would notice an instant difference in how well their classes go. Students would follow instructions better, classroom management problems would decrease, and the teacher would enjoy a greater sense of calm and well-being. This is the problem: Teachers say important things while students are still talking. Principals do the same thing in staff meetings. Presenters do it in corporate training sessions. No one is waiting for complete and utter quiet. And our audience is missing stuff. After calling for everyone’s attention, if you force yourself to wait a few extra seconds — about five — until that time when you really could hear a pin drop, you’ll only have to say things once. Nice and calm and clear. And everyone will hear you. Watch this demonstration to see what I mean. Then try it yourself and enjoy the results. AWESOME!!! As simple as that!!! You are wonderful to point out something as simple as that…adults in groups as well as students… we are all guilty…BTW…I am looking at you and smiling…I am so seeing BETTY!!!! Thank you for these great tips and ideas…new and better yet….bringing us BACK to what we know we should be doing!!! Um, that was not a real classroom with real students. Quieting a soundtrack us not the real thing. Yep, I’m pretty sure it’s clear to everyone who watches that I’m not standing in front of a real class. That was added to demonstrate the level of talking that many teachers and speakers allow to remain in a room while they press on with talking. The point is not that the wait time makes the students quiet, the point is to wait until they are quiet before you bother to talk at all. What I see is a teaher who is willing to wait until the STUDENTS decide to stop talking. They talked all through her “Finish up what you’re doing” directions. I wish I had one of those volume buttons to turn off the noise at the end of five seconds. It seems the fact I used a recording is really bothering some people. It’s not that the waiting magically makes them stop. The idea is not to say important stuff when the room is still noisy. It might take 7 seconds, or 10. Yes, you wait until the students stop talking, but you do signal, you do make an effort to get them quiet. It’s just a complete waste of time to talk over them. Love this! When being a speaker, ironically one of the most powerful things you can do is not speak. Recently I wrote about some of the benefits of pausing. I’d love to hear your thoughts on that, and by all means leave a link back to your own posts if you’d like to. The classroom sound effects really help to make your point. Nice! I thank you for taking the time to host wonderful; website. I love your articles, blogs and podcasts. I believe I am a better teacher because of your work. Thank you. Mary, thank you so much. Your comment has been a bright light in my day. Jennifer, thank you so much for great ideas. In some groups of my students I find a little bit difficult to catch their attention at the beginning of a lesson. Now I’ll try your advice of 5-second solution. Hi there! I had a quick question for you after reading this post. What do you suggest if the class does not stop talking? First, I would suggest that you say something like “I would like your attention please.” Then wait. If that doesn’t happen, I would address a few students by name: “Michelle, I’m ready to begin.” “Andre, I’m waiting for quiet.” If none of that works, I would suggest you take a look at my Notebook strategy for a class you can’t control. You might also want to look at Michael Linsin’s Smart Classroom Management website; it’s full of excellent ideas. Thx for all these wonderful ideas .. I was lucky to find you on Twitter..
Hi Ilham, I work with Cult of Pedagogy and I think there are many ways you can initially get the attention of your class. Some teachers clap, some flick the lights, some address the class — whatever system you have, just make sure you wait until all kids are quiet and you have everyone’s attention before moving on with further instruction. Hi. I’ve been a fourth grade teacher for 16 years now, and kids are noisier and more distracted as years pass by. That’s a fact. A valid one. Giving clear instructions is extremely important if we really want tasks completed effectively, and I always wait until everyone is not only quiet, but actually looking at me. This works not only at the beginning of directions, also while explaining a topic and you hear mumbling or whispering. Simply stop and patiently wait. It works!!!! Great advice! I plan to put it into practice! When did we lose common sense? Does it not seem logical to stop to get the children’s’ attention? I’m sad to think that this would be such a revelation. Honestly, if you want someone to hear you, you wait until they’re listening. I think as class sizes continue to grow we see this more and more. I ring a clerk’s bell. A quick ding and I’ve got their attention. As a teacher of 19 years, there is truth in what she says, but there are some classes that won’t be quiet no matter how many seconds I are quiet. I could (and do) do this and 4 out of 5 will respond. Buy there is that one that won’t. I thought this was going to be a demonstration in an actual class. A soundtrack is easy to quiet. I shared this strategy for teachers who regularly commit the error of trying to talk over their students, which builds terrible habits and only frustrates the teacher. If you have one student who is never quiet, walk over to her, put your hand on her desk, even address her directly and calmly say, “I need everyone’s attention, please.” If she is truly the only one still talking, this should do the trick. If it doesn’t, there may be a much larger problem going on (such as an issue with her impulse control) that merits deeper investigation. Regardless, I hope it’s clear that my point in this video is not to show how to make a class quiet, but that teachers should not wear themselves out talking over their students. Often it’s just a matter of waiting a few extra seconds before speaking. This isn’t realistic. You can’t quiet a soundtrack. I understand that you renamed wait time. Some teachers wait until pigs fly, which they never do. Nice way to market something. Really enjoyed these short videos – going to try some of your techniques out. As a school librarian and having solo responsibility for my library groups I do sometimes feel out of my depth – but of course eager to learn as much as I can regarding classroom management. Um, have you been in real high school classrooms lately? Waiting five seconds won’t give students a moment to finish their sentence; instead, they’ll take it as a cue to pull out their phones and watch a You-tube video while continuing to talk — at a louder volume. I get the point: Wait for the room to be quiet before you begin to give instructions, but this tip alone accomplishes nothing. Hey TP. Here’s the thing: I’m not talking about 5 seconds from the time you start trying to get their attention. I’m talking about adding about 5 extra seconds to the time you normally wait. Too many teachers jump the gun just a little bit too early, and this causes other problems. 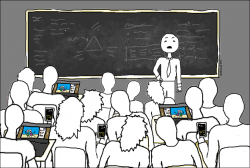 If students pull their phones out and talk louder when you’re trying to get their attention, that’s definitely a separate and bigger classroom management issue. What is your overall relationship like with your students? I am really shocked by some of the aggressive comments some individuals are leaving. I have been in a “real” class room lately (every single school day) and this works. I understand your point and it’s a good one. Maybe this seems like comment sense to some, but having recently observed teachers, wait time is often overlooked or forgotten due to habit or time crunch. It is effective, at least for the 170 students I teach a year. Yes, saying “Andre, I’m waiting for you” or laying your hand on the talking student’s desk works great — when one or two students are talking. When you’re working with low-achieving high school seniors and 30% of them are talking and will not stop, even when spoken to directly … it’s more like playing whack-a-mole at the county fair. Maybe these techniques work with younger students. This is a great strategy. I also stop speaking when I am interrupted and teach my students to do the same when they are speaking. The ensuing silence doesn’t let the person whispering continue secretly, everyone can hear them, and they realize they’ve interrupted the whole class. Only the most stubborn of kids keep talking through the silence. Once they’re done, I rarely acknowledge it. except to remind everyone we have a one voice rule, and then pick back up a sentence before they started talking while I’m talking. If it’s a long pause, I might start instructions over from the beginning. Jennifer no need to keep explaining yourself to individuals who are not listening. This is not a video on how to control a class, which obviously can be very challenging depending on group, environment etc. That would have been an entirely different tutorial. Thank you for your effort with tip about waiting. I first saw this strategy from a school counselor during a large group presentation to middle schoolers, and I’ve used it successfully in my library with two classes of more than 60 MS kids. When you need to talk, you tell them that and wait…and they will get quiet to hear what’s next. The key is to have engaging and purposeful lessons so they want to participate! It does work, even with the most difficult classes, schools, and environments, but it causes other problems. For me, I teach in a computer lab. I won’t even let them in the lab until their line is calm, they stop talking, and they face me. It can sometimes take almost 10 minutes, but once we go in, the students are calm and ready to learn. I teach in 30 minute blocks so if I have to wait that long, we ate almost certainly not going to finish the lesson or get to use the computers, but that’s a logical consequence. If I rush them in before they are ready for listening, then I’ll have to repeat the directions many extra times. I have been running out of time with many classes lately, but as soon as I think, oh I’ll just rush them in, all hell breaks loose. I’m back to the not going in and starting until we are ready. Ironically, many teachers at my school say their kids behave better with me than with their own teachers. Unfortunately they attribute it to it being technology, but it is really the wait time. We don’t have free time, we do standards based work, in a very low performing, title 1, all ELLs, etc school in a large urban district. Give me some credit, you can’t just plop a computer down in front of kids and magically they behave. It’s actually the wait time. Thank you, this came just in time. I will try it next week when we go back to school and let you know what happened. I just recently took over a 3rd grade and behavior management has been my main goal for the last three weeks. I have this strategy and it does not work with my class. I’ve often found myself waiting three minutes and they still don’t get it. They seem to think that they are there to just socialize or play with the things at their desk. This is true actually. My partner last year, who was a new teacher, was constantly telling our class “I’ll wait” when the kids started talking during a lesson, but she didn’t actually wait and so the kids continued to talk. I finally had to tell her if you tell the kids you’ll wait, you actually have to wait. Even if it’s for a minute. Sounds like common sense but a lot of people don’t do it. I REALLY recommend all of you , including Jennifer study ENVoY strategies. I have taught 32 years at high school, middle school and now at an elementary school and it has literally given me my energy and love of teaching back! Managing students is much more diffucult these days. We all need strategies that support teachers while at the same time maintain relationships with students..
Jennifer, thanks for the TIP. These negative comments are hurting my feelings, geesh! I totally understand your point which was to wait until you had their attention before giving important information. Whether you wait silently for 5 secs, dance for 5 secs, or sing for 5 sec to get their attention.The point is, don’t waste what you have to say when students aren’t listening. Jennifer, your tip helped someone who did not know this or who needed to be reminded of this tip. For all the negative Nellies out there, if the tip did not work for you then try something that does. You did not purchase Jennifer’s tip nor were you forced to try it, so stop it with the negativity! Makes me wonder how these people treat their students. Thank you, Lorraine! I appreciate that. Five seconds? Please, come to my school and demonstrate. . .you’d still be waiting after ten seconds, ten minutes! Hi Bryan! Keep in mind that it’s the remaining 5 seconds I’m really referring to here; my point is that whenever it is that the class starts to quiet down in response to a teacher’s prompt for quiet (and that is assuming the teacher actually has a prompt that can get students quiet…if not, then this is a separate problem), far too many teachers start their OWN talking about 5 seconds too soon, when there are still a few student voices going. So even if it actually takes two full minutes from the time the teacher signals for quiet until the students actually get there, the teacher should still wait that extra 5 seconds to make sure they are ALL paying attention, not just 90 percent of them. I couldn’t hear the second half of the video, so I read the comments. What I do that works beautifully is say, “When I say ‘candy apple’, ” wait for students to quiet down, then repeat, “when I say ‘candy apple’ , we’re going to take out our social studies books and turn to page …..” Students are usually very attentive waiting for he to say ‘candy apple’. Throughout the year, I change the signal phrase to match a topic we’re studying etc. Kids like it! “Speak only into silence” is the mantra I invite teachers to use when learning this key teacher move. It’s incredibly powerful. Thank you, Jennifer. I am a prac teacher and I know your tips definitely work. I use them as suggested by my supervisor. If students do not stop talking, teachers address their names. If they are still talking, teachers can assign consequences. 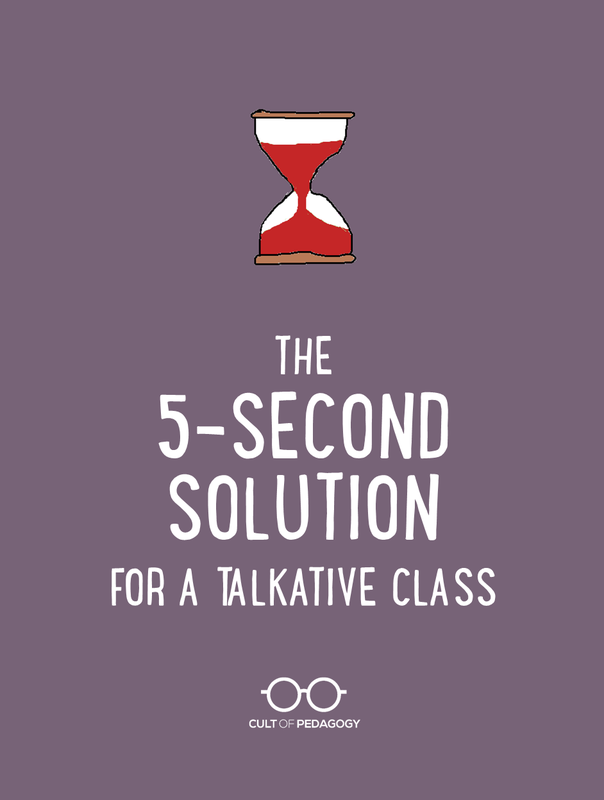 Wish this was a silver bullet, waiting for 100% is very effective in many of classes I teach, but like previous commenters have said – some classes just see it as a license to continue talking and often become louder the longer I wait. Any strategies for noisy classes this might not work on? Hi! 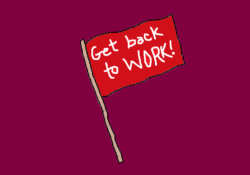 Take a look at When Students Won’t Stop Talking — there might be something there to grab onto. Sure, the talkative will always be with us, and I suppose children have changed in the 20+ years I’ve been teaching, but it’s more useful to focus on what we can influence. I feel like it’s my responsibility to make what I say worth hearing. There’s a performance aspect to good teaching, and although we can’t always be entertaining, we should strive to always be interesting. My advice would be to spend those 5 seconds thinking about what you’re going to say and don’t begin with “Umm” and a comment about how long you’ve been waiting.